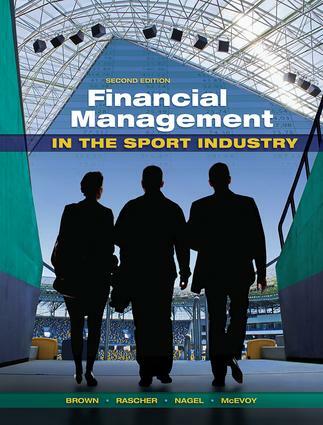 Financial Management in the Sport Industry provides readers with an understanding of sport finance and the importance of sound financial management in the sport industry. It begins by covering finance basics and the tools and techniques of financial quantification, using current industry examples to apply the principles of financial management to sport. It then goes beyond the basics to show how financial management works specifically in sport - how decisions are made to ensure wealth maximization. Discussions include debt and equity financing, capital budgeting, facility financing, economic impact, risk and return, time value of money, and more. The final section focuses on sport finance in three sectors of the industry - public sector sports, collegiate athletics, and professional sport-providing in-depth analysis of financial management in each sector. Sidebars, case studies, concept checks, and practice problems throughout provide practical applications of the material and enable thorough study and practice. The business of sport has changed dynamically since the publication of the first edition, and this second edition reflects the impact of these changes on financial management in the sport industry. New to this edition are changes to reflect the global nature of sport (with, for example, discussions of income tax rates in the Premiere League), expanded material on the use of spreadsheets for financial calculations, a primer on accounting principles to help students interpret financial statements, a valuation case study assignment that takes students step by step through a valuation, a new stadium feasibility analysis using the efforts of the Oakland Raiders to obtain a new stadium, a new economic impact example focusing on the NBA All Star game, and much more.